The 5065E Utility Tractor is available in either 2WD or MFWD configuration. The standard foot-operated differential lock applies power equally to both rear wheels, letting you pull through tougher ground conditions, while standard hydraulic wet disc brakes provide sure-footed stopping power. For producers or property owners who need just a little more tractor, the 5E Series offers the features and specifications you need to handle heavier-duty chores. Recommended for Large Estate Owners, Horse Enthusiasts, and Hunting Grounds. 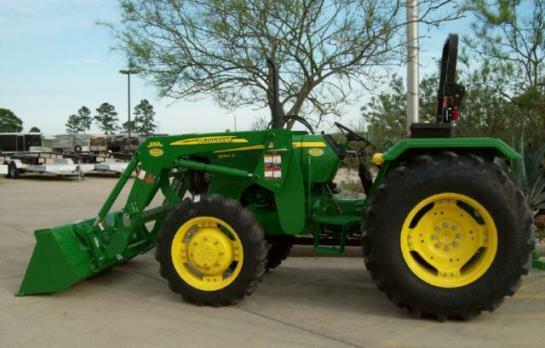 Ideal for loading, mowing, and baling.